Halloween Classics are one of the best things about the Halloween Season, popular television programs honor the holiday with some of our favorite flicks that truly put us in the spooky spirit of things. 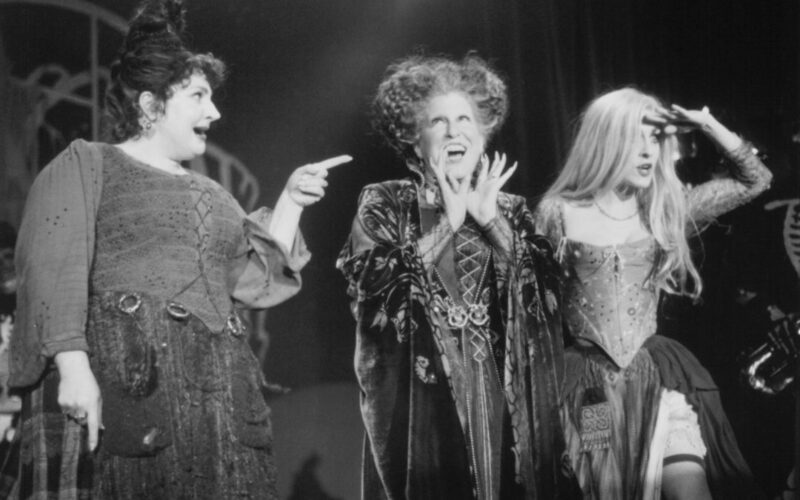 Hocus Pocus was released in 1993 and has been a classic ever since. When it first came out, the movie raked in $39.5 million at the box office, but was released three months before Halloween. Now, 23 years later, the film is still considered one of Halloween’s greatest. It is widely enjoyed by all ages, and fans of the movie wait eagerly each year for its Halloween Season debut. To honor Hocus Pocus and our love for the movie, we’ve put together some reasons as to why it’s one of our Halloween favorites – check them out below. We get to dress up as the Sanderson Sisters for Halloween! It takes place in one of our favorite locations – Salem, Massachusetts! Bette Midler claims that the film is still her favorite, which is another reason for us to consider it a fave! Click here for the rest of Freeform’s 13 Nights of Halloween Schedule!